I love getting a great deal, don’t you? Back in October, I spent $2.40 for eight heads of garlic, from my local grocery store. I planted them and 7 months later, it was time to harvest them. 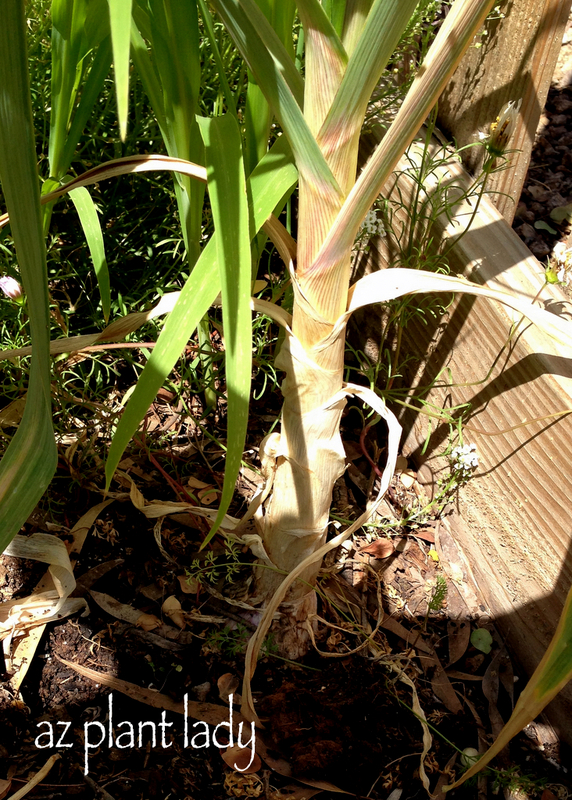 As I stepped into the side vegetable garden, I took a good look at my garlic. It was a lot bigger then in previous years. I started pulling and realized that it was a lot harder to pull out then last year. 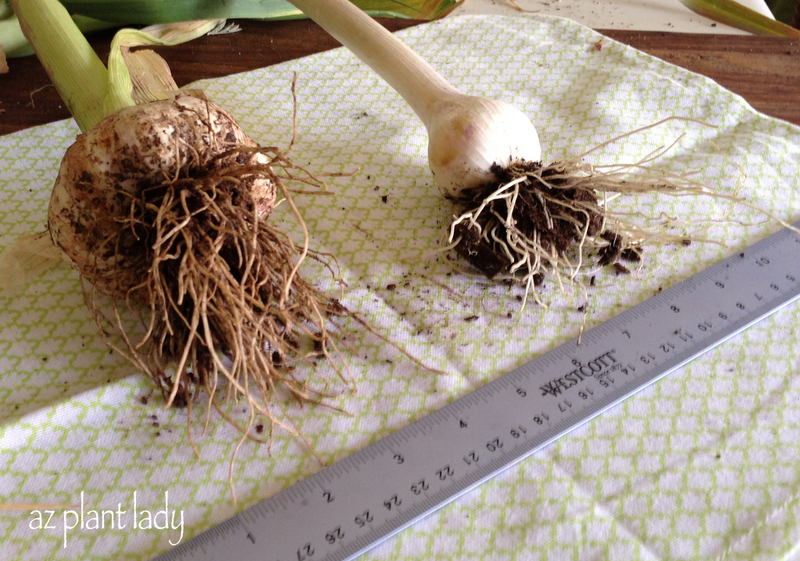 It was the biggest garlic that I had ever seen in my garden and I was thrilled. Until I realized that I had planted twice as much garlic as last year and still had to pull out all of the remaining garlic. All this for an initial investment of $2.40! I had so much garlic that I couldn’t carry it in one load. The larger heads were almost 4 inches wide. However, the garlic that I grew in containers was quite a bit smaller – more like the size you find in the grocery store, which was fine with me. Now all I have to do is to let my garlic ‘cure’ for a month in a dark, dry spot. That usually means that I put them on top of my large freezer in the laundry room. 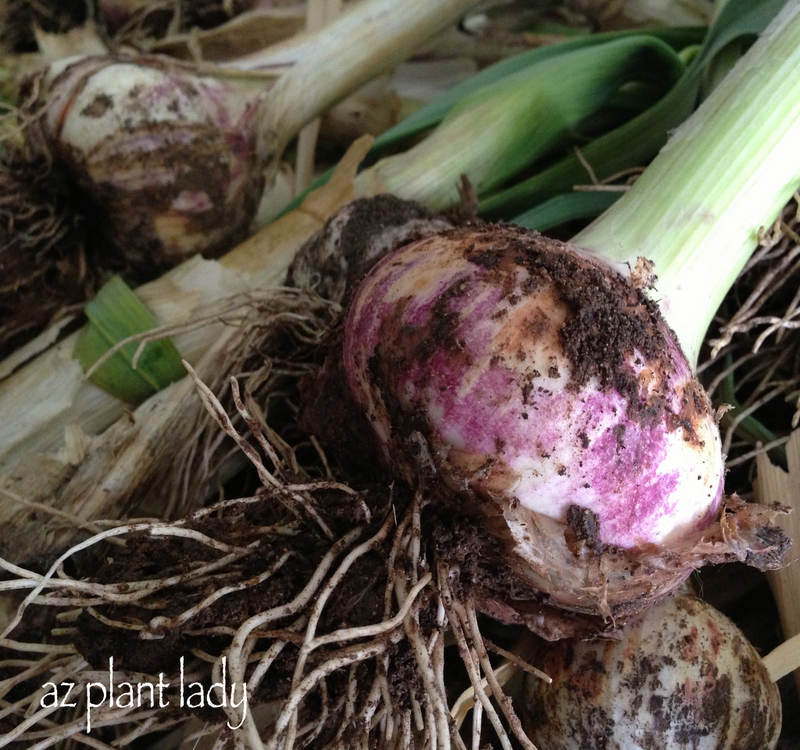 Garlic will last about 8 months if kept in a dark, dry spot out of the heat. I don’t think we will be able to use all our garlic. Thankfully, I have plenty of people to share it with. 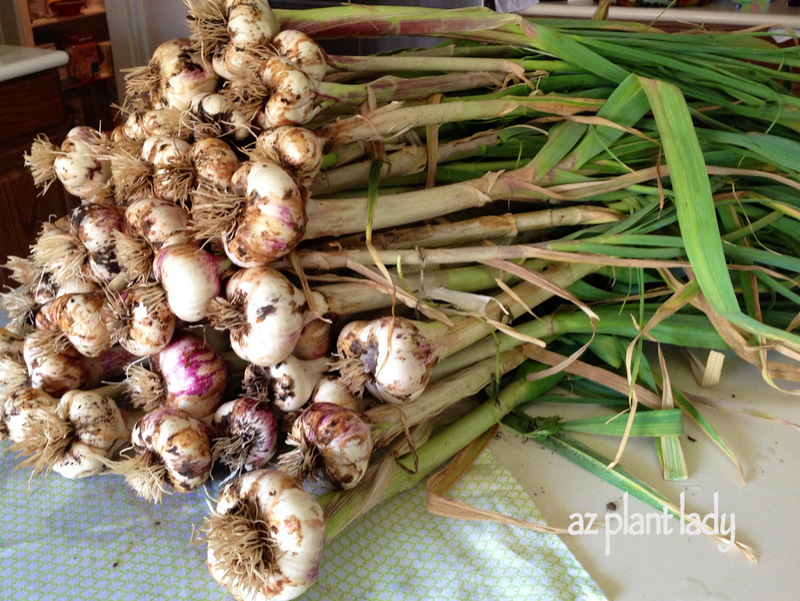 For more info on how to grow and ‘cure’ garlic, you can check out my earlier post “Got Garlic?”. The garlic we grew last year was also huge. I was very surprised because they usually end up pretty small. I planted some in planters and some in the ground this year. The ones is planters were fairly small. Haven't pulled the ones in the ground yet. I put in extra because I want to try drying it this year so I have some this winter.